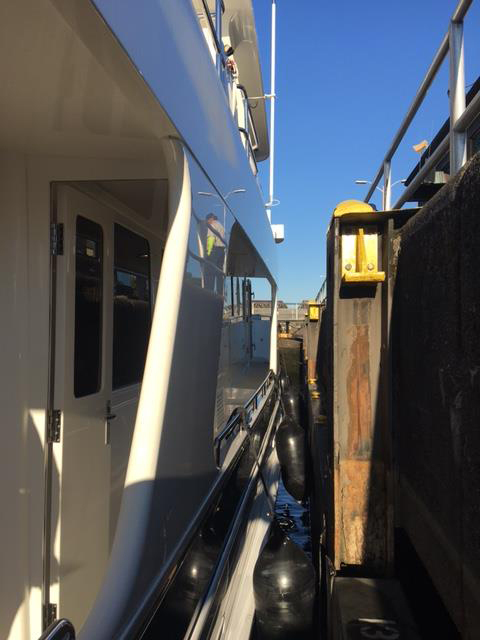 DOGO'S HIDEOUT is an as-new motoryacht for sales and available for immediate delivery. She has been boathouse kept since new and has under 150 hours of use. 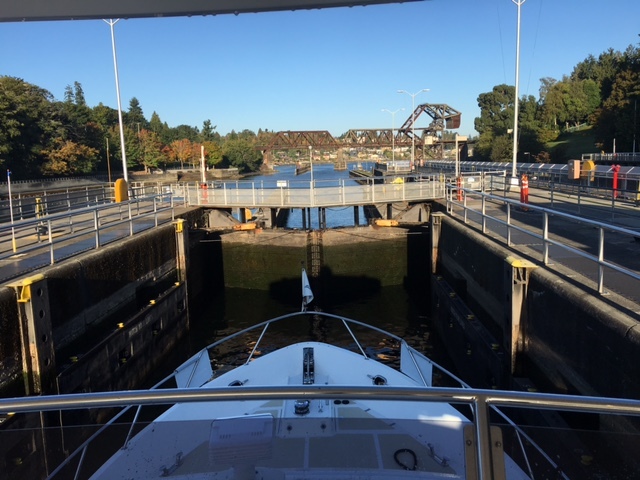 Here are some photos of her last week, moving through the Ballard Locks. For more information and video footage of this stunning yacht, click here.